"Crying Broke" offers the nostalgic 90's feel Hip-Hop Fans having been craving for quite some time. With an All-Star line up of Alums from Tribe, Little Brother & Slum Village, these 3 SUPER MC's send out a direct warning to all upstarts, "Stop Ya Blood Clot CRYING!!!". 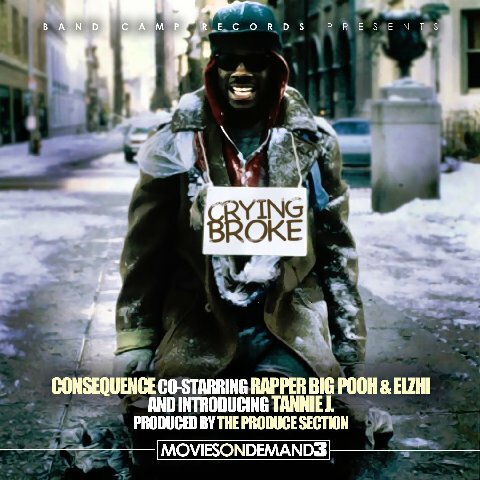 Along with Rapper Big Pooh & Elzhi, Consequence brings us one step closer to the highly anticipated "Movies On Demand 3". The track also introduces Tannie J.